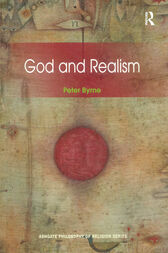 Peter Byrne’s study of God and realism offers a critical survey of issues surrounding the realist interpretation of theism and theology. Byrne presents a general argument for interpreting the intent of talk about God in a realist fashion and argues that judging the intent of theistic discourse should be the primary object of concern in the philosophy of religion. He considers a number of important ideas and thinkers supporting global anti-realism, and finds them all wanting. After the refutation of global anti-realism, Byrne considers a number of important arguments in favour of the notion that there is something specific to talk about God which invites an anti-realist interpretation of it. Here he looks at verificationism, the writings of Don Cupitt, forms of radical feminist theory and the ideas of D.Z. Phillips. The book concludes with a discussion of whether theology as a discursive, academic discipline can be interpreted realistically. Offering a comprehensive survey of the topic and of the leading literature in the field, this book presents key arguments for exploring issues brought to bear upon the realism debate. Students and scholars of philosophy of religion, philosophy of language, metaphysics, theory of knowledge and theology, will find this an invaluable new contribution to the field.